10 Amp 400V DC Intelligent power module board has been designed using ON Semiconductors STK544UC62K. This Inverter IPM module includes the output stage of a 3-phase inverter, pre-drive circuits, bootstrap circuits, protection circuits, op-amp based current sense circuit, comparator circuit for fault/Over current output, Bus voltage output, onboard 5V DC regulator for op-amp circuit. 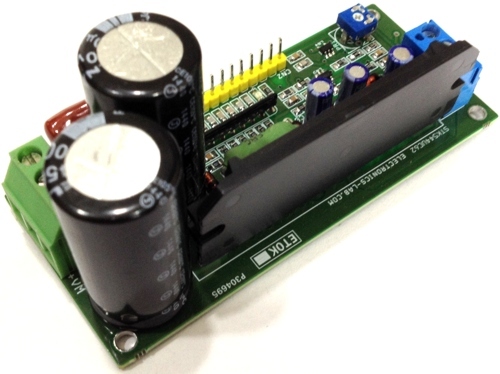 This board can be used to drive AC Induction, BLDC, PMSM motors and Brushed DC Motors. The module integrates optimized gate drive of the built-in IGBTs to minimize EMI and losses, while also providing multiple on-module protection features including under-voltage or over voltage , over-current , and fault reporting. The built-in, high-speed HVIC requires only a single supply voltage and translates the incoming logic-level gate inputs to the high-voltage, high-current drive signals required to properly drive the module’s internal IGBTs. Separate negative IGBT terminals are connected to shunt resistor to provide the current feedback to the micro-controller. This IPM module helps to develop various power applications and also can be used as H-Bridge for brushed DC motor. 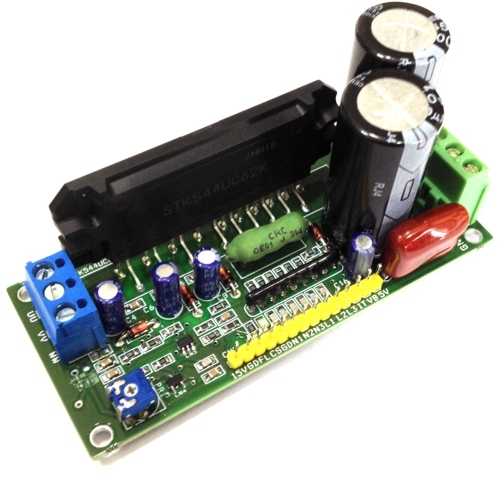 The module mainly helps to drive Hall sensor based, encoder based motors and 3 Phase AC Motors. The IC has Built-in dead-time for shoot-thru protection. Internal substrate temperature is measured with an internal pulled up thermistor. PWM frequency is up to 20 KHz. The board can be used in application like small machines as speed controller, washing machine, refrigerator, Air condition, automation, AC motor speed controller, dc motor speed controller, brushless dc motor driver, ac servo driver. This board designed to evaluate ON Semiconductors STK544UC62K. The motion IPM is installed as the motor power module on the board to drive a three-phase AC Induction Motor (ACIM), Brushless DC (BLDC) motor, Brushless AC (BLAC) motor, or Permanent-Magnet Synchronous Motor (PMSM). The board has bulk capacitors and microcontroller (MCU) interface circuitry. As this board is designed for a wide variety of motor types, not all included circuitry is required for all types of motors. Some motor types may require some additional circuitry be added, depending on the control algorithms being implemented. The board is designed to connect DC power sources feeding current to the motor. The three-phase motor output terminals (UU, VV, and WW) from the screw terminal should be connected to the motor windings. Three bootstrap power supply circuits are designed into the board, one per phase. A bootstrap capacitor and Zener diode provided to prevent the IPM module for over voltage input. 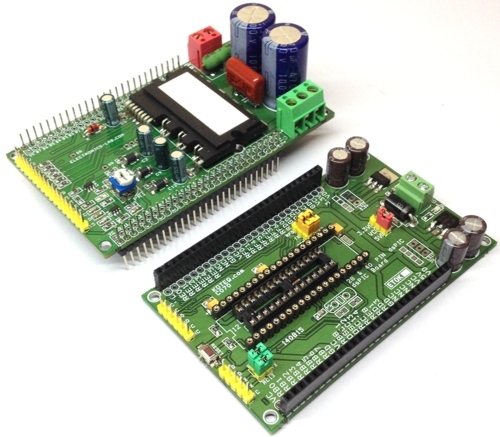 The microcontroller (MCU) or motion-controller development board connects to this IPM board via the provided 14 Pin header connector. Six low-pass filters are used between the signal input connector and the gate input signal pins of the IC. Short-circuit current protection is provided by a single shunt resistor, op amp, and low-pass filter. Additional resistor divider circuitry is included to monitor bus voltage, inverter phase current, and module temperature. 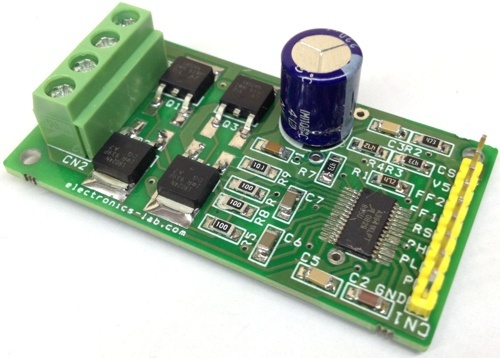 This board is made for high voltage motor up to 400V DC. 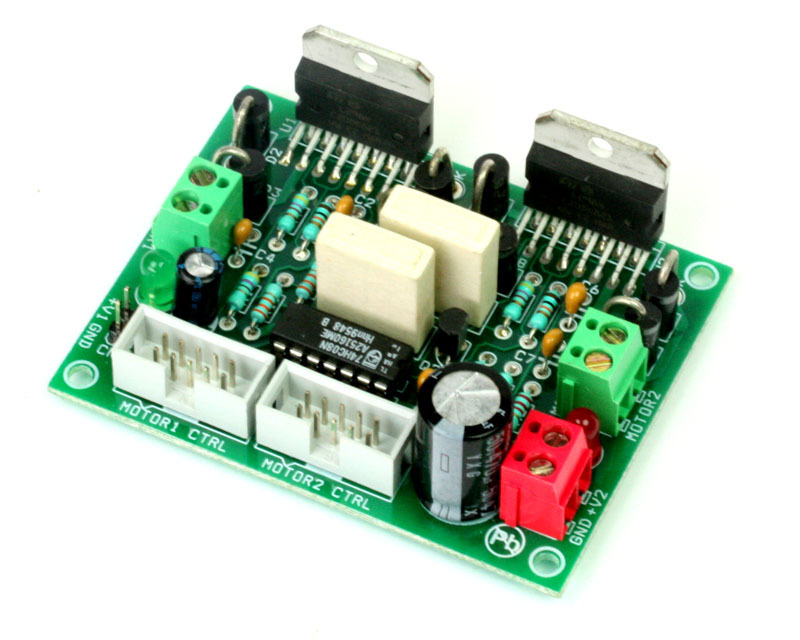 This board can be used to make VFD driver with help of embedded system or micro-controller board which generates 6 PWM signals and take care of over current, fault, Bus Voltage feedback signals. IC MCP6021 op-amp used as current to voltage converter, LMV7235 comparator provides Fault/Over current output. The pre-drive power supply low voltage protection has approximately 200 mV of hysteresis and operates as follows. Continue till the input signal will turn ‘high’. When assembling the IPM on the heat sink the tightening torque range is 0.6 Nm to 0.9 Nm. The pre-drive low voltage protection protects the device when the pre-drive supply voltage falls due to an operating malfunction. external pull down resistor R12 4K3 connected between the T/ITRIP terminal and VSS terminal is used , read data sheet for more info for temperature feedback. The board operates at lethal voltages and has bulk capacitors that store significant charge. Accidental contact can lead to lab equipment damage, personnel injury, and may be fatal. Please be exceptionally careful when probing and handling this board. Always observe normal laboratory precautions. I am retired scientist (glaciologist). I am not practicing electronics, just have basic understanding of how some of circuits are working. It looks like described IPM is suitable for my application – ultralight ice drilling system. I need variable, reversible DC output from the IPM. 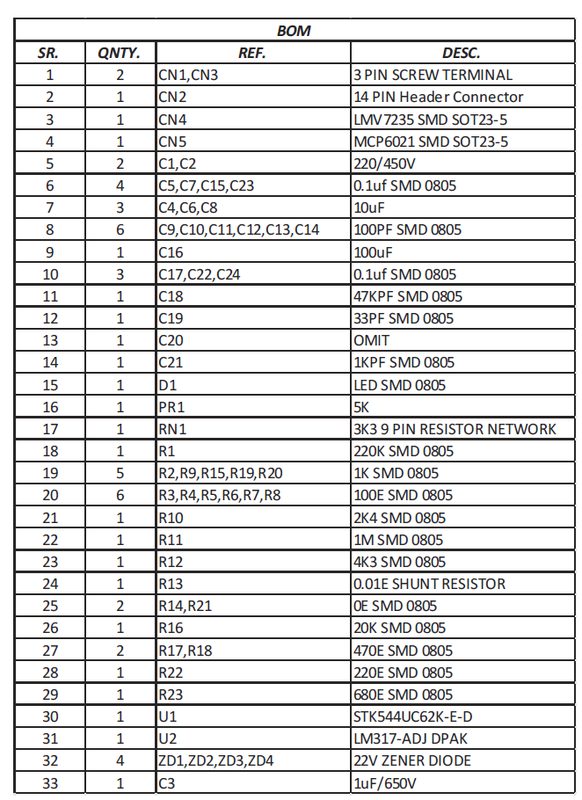 Please, let me contact Rajkumar Sharma for help to develop second part of the IPM – actual switch board.